So Thad Matta is a douche. If he wasnt healthy enough, why did he interview. If he wasnt interested in the job, why interview. He wasnt my first choice until my brother convinced me otherwise. Then he became my first choice, then he rejected us. Now the one thing I know is that back problems never truly get fully resolved. My first choice was Rick Pitino. It was funny. I was texting my brother saying how he was my first choice and asked if that made me desperate and also asked him when he was going to congratulate me on Michigan’s 2013 National Championship for basketball. He said: yes and never. Then later he texted me that maybe there was some thought to Pitino as it appears there was. Turned out it didnt get much traction. My next choice was Billy Donovan. I had heard the never happy trio in Oklahoma wasnt happy with him so they were looking to ship him out. Of course he led the Gators to two national championships. Alas, I heard nothing of this although my brother said some reporters heard from him that he wants to stay in the pros. Crean was my next choice and of course this is what we got. The best available, perhaps. Happy? Happy enough. 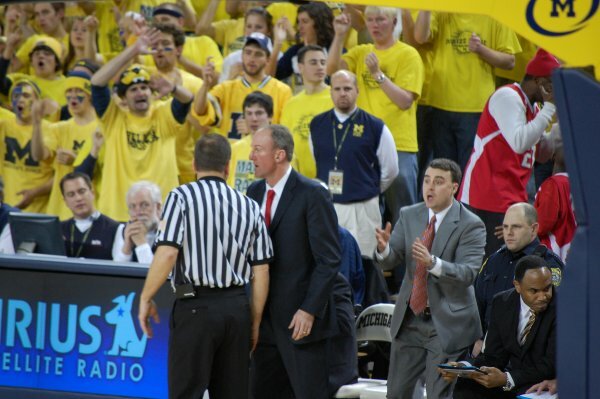 What I do know is Thad Matta is a douche.